Happy news! If you are a regular here or if you follow me on social media (Twitter, Facebook page, Facebook group, Instagram or Tumblr), you'll probably know about my pregnancy. I posted about health issues and pregnancy complications in January. Well a few weeks ago on February 11 (a day after my birthday) I gave birth to a healthy baby boy. His name is Levi and he's our third son. Brothers Seth and Quinn are really proud. As you can probably imagine I'm a bit busy with the baby at the moment. We're not getting much sleep (if any) so I definitely need some time to recover. Whenever I have some free time (and energy) I will post custom content, as always! HOLLYWOOD HERE WE COME: EA PLAY IS BACK! EA PLAY is heading back to the city of stars this June, and we're bringing you the biggest games of the year. At the core of EA PLAY is you – our players and communities. EA PLAY is a place to connect with our games and each other, whether you’re joining us in person, online or through your favorite content creators and community leaders. It’s all about giving you early access to our games, listening to your feedback, and most importantly, having fun with some of the biggest games in the world. And best of all, tickets are free. The annual three-day event will include more hands-on experiences at the Palladium for players attending the event, while some of the biggest global community creators in the world will be sharing early game footage and live streams directly from the show floor for players viewing from home. We’ll also have a rich online content program via EA.com with breaking news, stories, live content and more to take you deep inside your favorite games. What games, you ask? At EA PLAY 2018, you will have a chance to play our next Battlefield™ experience, new EA SPORTS™ games, and get an inside look at the stunning new action game, Anthem™. The Sims™ 4 and our mobile games will be on hand, and of course, we have a few surprises as well. If you are able to make it to Hollywood, we have a lot in store for you: hundreds of game stations, awesome game demos, lots of experiences for attendees and families, including music, art, food and entertainment for everyone. Tickets will be available this Spring - and in taking your feedback from last year's event, we'll be introducing a new system to give you better hands on access to your favorite games. So stay tuned over the coming weeks and months to learn more about EA PLAY 2018, including ticket availability, entertainment, program schedule and more. We’ll see you in Hollywood! To stay informed about EA PLAY, sign up for the newsletter or follow us on Facebook (https://www.facebook.com/EA) and Twitter (https://twitter.com/ea). Normally I would post this message on the blog, rather than the news section. But I also realise that most people probably don't actively follow the blog. Hence the decision to post it here instead. Some of you may know that my partner tszcheetah and I have been expecting our third baby since shortly after we got married in May. I kept in mind that I had pre-eclampsia during my previous pregnancy, and chances were that I would be suffering from this again in another pregnancy, but this wasn't set in stone. Now fortunately as far as we know I'm not currently suffering from pre-eclampsia. But I am being monitored closely. And I'm experiencing a lot of pain (and pain attacks) and complications in this pregnancy, leaving me unable to work on anything that has anything to do with my computer. This includes my job and unfortunately also SNW. I'm mostly on bed rest, so I'm either on the sofa or in bed. I hate that I'm not able to do anything. But I'm mostly in and out of the hospital at the moment, for regular appointments, but also for tests and what not. I'm really tired and ill, and with only 4 weeks to go until the due date, I'm just not very active at the moment. And I wanted to let you all know. As always I will still be back, the moment my health allows me to work at my PC again. I would also like to point out that because of my health issues and my due date being in less than 4 weeks (I'm due on my birthday, Feb 10), we are likely to be very slow responding to messages and comments regarding the website and the Graphics Rules Maker. Especially since my husband is also ill at the moment, and he's the one behind the Graphics Rules Maker tool. We will get back to your messages when we are feeling better. Thank you so much for reading and understanding. SimGuruRiley made these adorable Valentine's Day crafts for her colleagues at The Sims Studio! Aren't they the best? Are you making anything Sims related for Valentine's Day? Let us know! Just got an e-mail from EA announcing Origin Access. Unfortunately I can't see anything beyond this e-mail, as it's not available in my area yet. But I thought it was worth mentioning it anyway! At EA, we’re passionate about giving our players more variety, more flexibility, more value, and more fun. 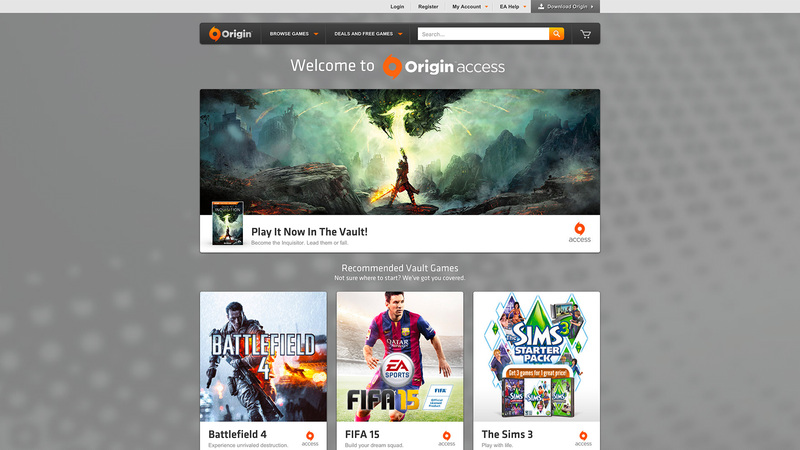 Today we're thrilled to announce a new membership service for PC gamers on Origin called Origin Access. It's available now in the U.S., Canada, UK and Germany and coming to more countries soon. 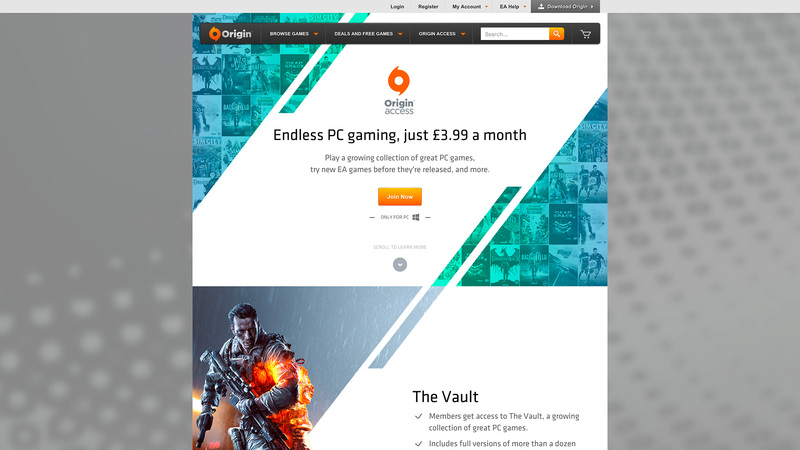 Origin Access brings players endless gaming with a growing collection of great PC games for just £3.99 a month. This new service launches with 15 great games, including Battlefield 4™, Dragon Age™: Inquisition, The Sims™ 3, and This War of Mine with more titles from EA and independent developers added over time. The complete list of titles currently available in The Vault can be found at https://www.origin.com/store/origin-access . Happy Simsmas from the Sims Studio! We have just released a new version of the Graphics Rules Maker. It now comes with better Windows Vista/7/8 support, a SimCity 4 plugin and a Dutch translation. Do you have any questions for Rosie and Marii? Then here's your chance! Send us your questions, preferably by commenting on the video, or by sending a tweet to @SNW. Feel free to include the hashtag #rosieandmarii in your tweet! We will record the video next week, so please send your questions before Sunday July 6, 2014!